In 484 AD, King Arthur's wizard Merlin forges an alliance with the Knights of Iacon, a group of twelve Transformers who have hidden on Earth. The knights give Merlin an alien staff, and combine into a dragon to help Arthur triumph over the Saxons. In the present day, most of the governments on Earth have declared Transformers illegal, and the multinational Transformer Reaction Force (TRF) has been formed to eliminate the alien robots. Despite the absence of Optimus Prime (who left the planet to search for his creator), new Transformers continue to arrive regularly; the newest ship to arrive crash-lands in Chicago, where it is found by a group of children. When a TRF mecha confronts the kids, they are saved by Izabella, a survivor of the Battle of Chicago, and her Transformer companions Sqweeks and Canopy, but Canopy is killed by the TRF in the process. 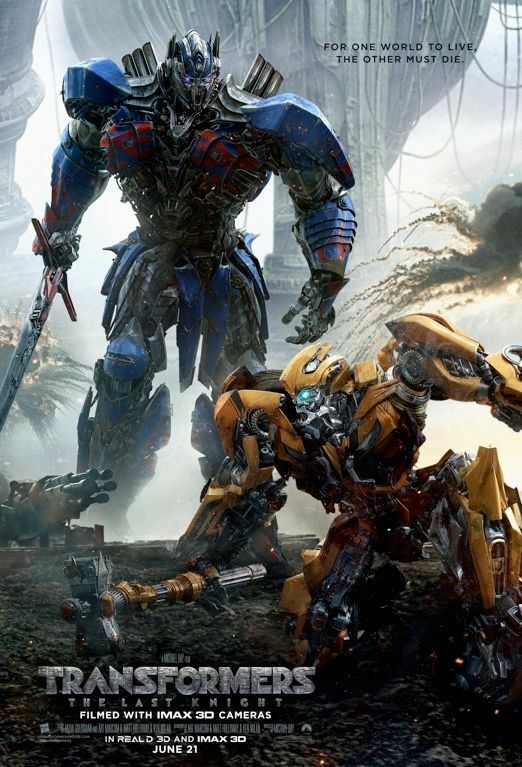 Bumblebee and Cade Yeager arrive and help them escape, but Yeager is unable to save the Transformer, Steelbane, in the ship. Before he dies, Steelbane attaches a metallic talisman to Yeager’s body—an act observed by Decepticon Barricade, who reports to his leader Megatron. Read more on Wikipedia.